2 months and counting. Hustle time! Done yet? Soooo happy to see this build going on! Not done yet, but the wiring harness is going on. New progressive springs came in for the front and new Hagon shocks for the rear should be here Thursday. 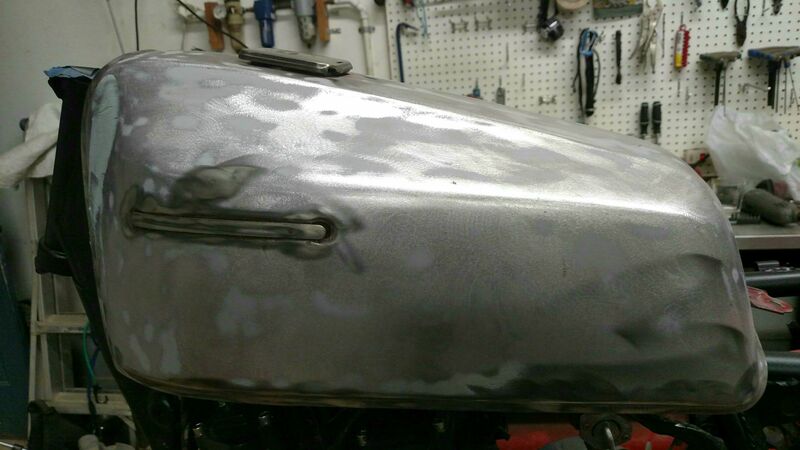 Tank and tons are getting prepped for paint. Sign me up, good luck on the thaw deadline. Get this bike done by the Thaw!